← Why is Bolivia’s most famous ointment called Mentisan? 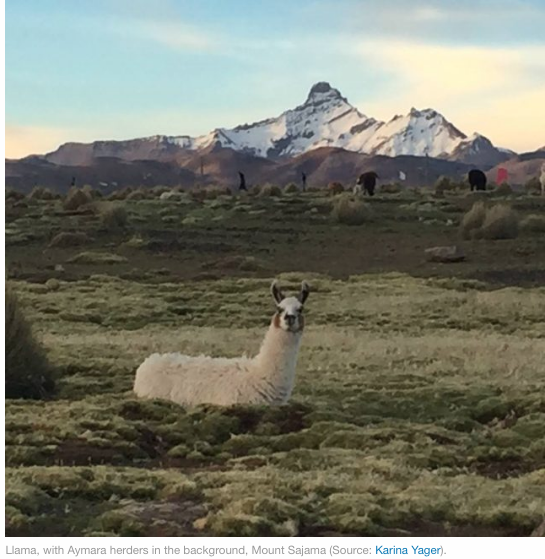 This Photo Friday, journey to Sajama, Bolivia, through photos taken by Karina Yager, a professor at the School of Marine and Atmospheric Sciences at Stony Brook University, on her recent trip to the country. 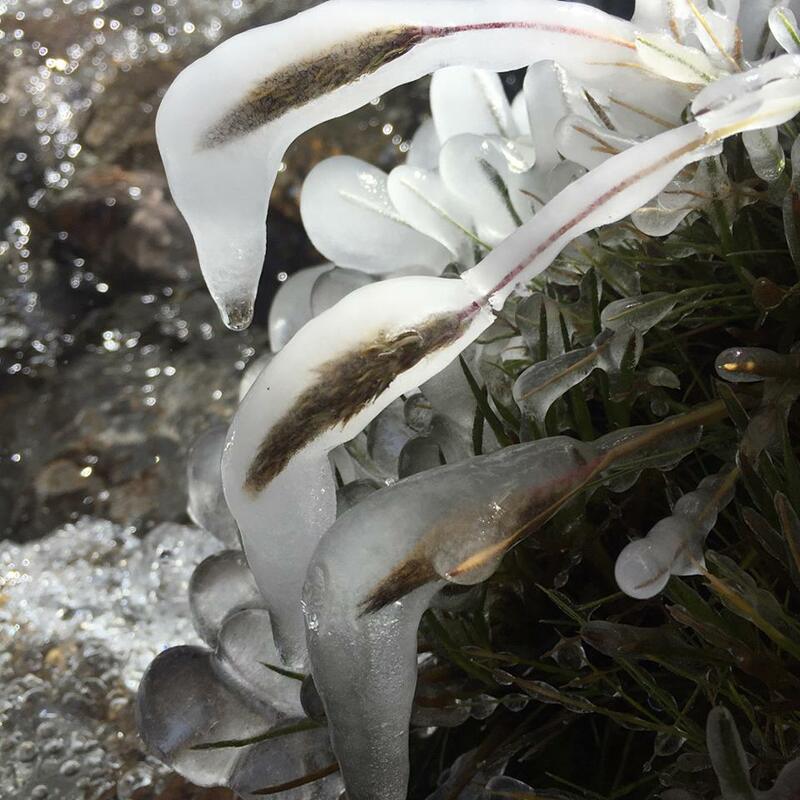 Joining two Bolivian scientists, Rosa Isela Meneses and Humber Alberto, from the Bolivian National Herbarium and the Natural History Museum, the trio conducted a field survey at Sajama National Park, monitoring vegetation change in bofedales (high Andean peatlands). 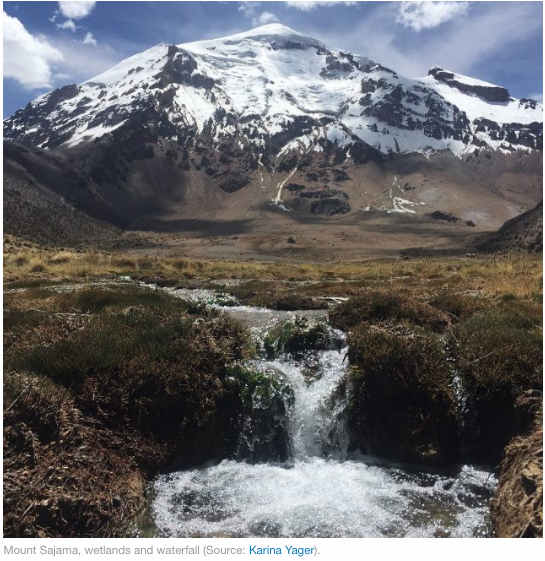 In Sajama, glacier retreat, climate change and local changes in land use and livelihoods are impacting the bofedales, which are key to sustaining pastoralism in the region. Indigenous Aymara herders, who have a centuries-long tradition of raising llamas and alpacas in the region, maintain and extend these peatlands through the careful construction of irrigation canals. 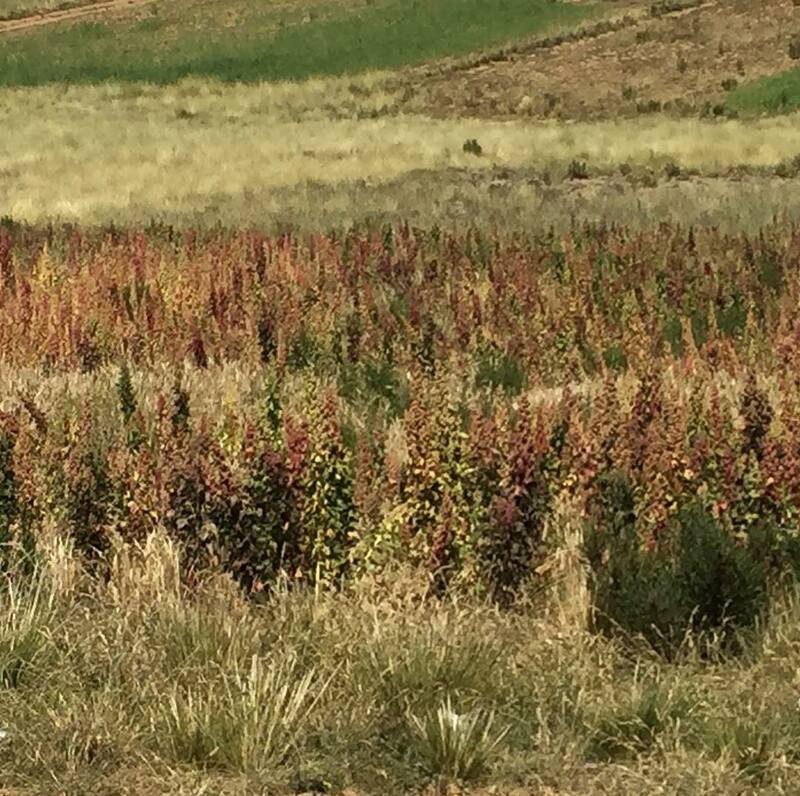 In addition to supporting domesticated animals and local livelihoods, the bofedales also help regulate water resources for mountain biodiversity, including vicunas and many Andean birds. Yager expresses her gratitude to NASA ROSES LCLUC for financial support for the project, to her Bolivian colleagues and local residents, and to Apu Tatay Sajama, who all contributed to the success of the trip. 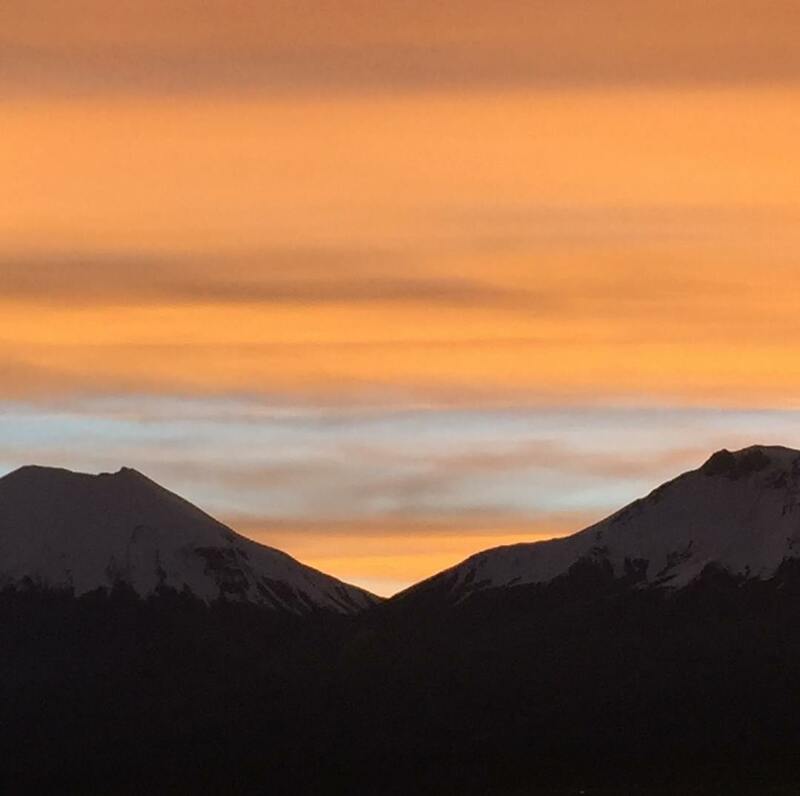 Sunset at Sajama, Bolivia (Source: Karina Yager). Ice on stems of native grasses, Mount Sajama (Source: Karina Yager). 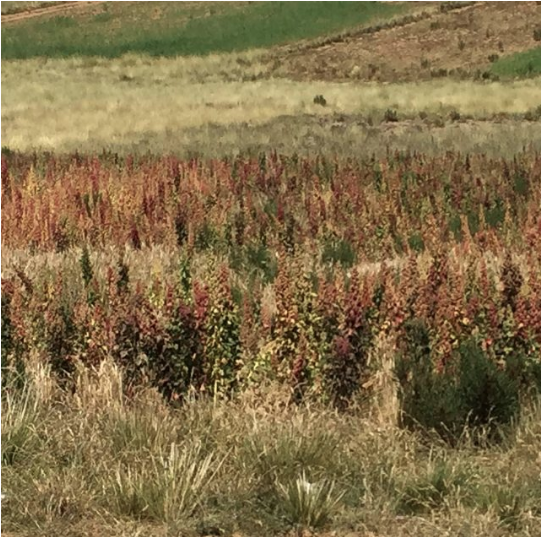 Quinoa growing at Patacamaya (Source: Karina Yager). 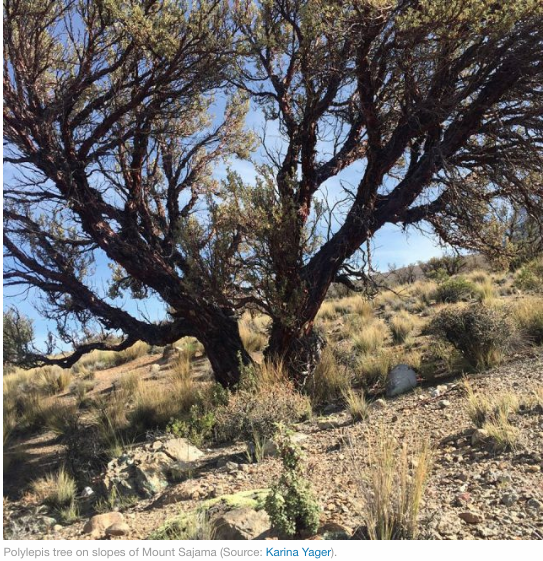 This entry was posted in Bolivia, Environment, Holidays, Tourism and tagged Oruro, Sajama. Bookmark the permalink.